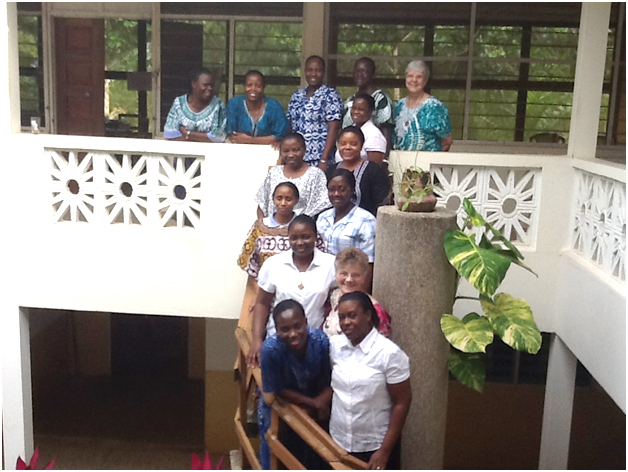 SSND Vocation/Affiliate Directors from the five countries in which we serve in Africa met recently in Cape Coast, Ghana. Sister Pauline Muoti sent this report. Formation is a communal process, a service that is offered to a person who is discerning God’s plan. It is a stage that assists the growth in an individual’s journey. We experience formation through our integration of personal and our SSND values to make one and be about the mission. The formators are there to help the new person coming in to the community, to see if her story fits with SSND story regarding their traditions, folktales, theology and customs. 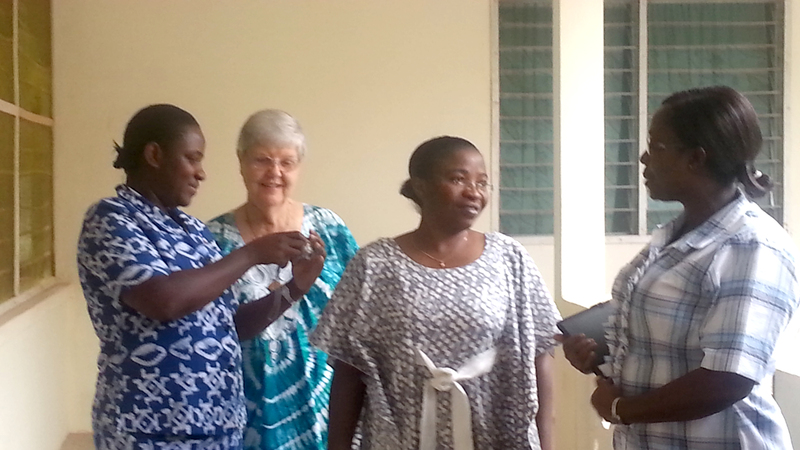 It was with an inmost joy that the gathering of sisters, vocation/affiliate animators at Cape Coast community, Ghana, shared and deliberated on how to cultivate a way forward to planting a future promise. God calls us to nurture our own vocation as we listen to our names being called each moment, every day. This was like comparing our Call with a minute, little seed sowed on the ground, and nurtured to maturity to produce a hundredfold. 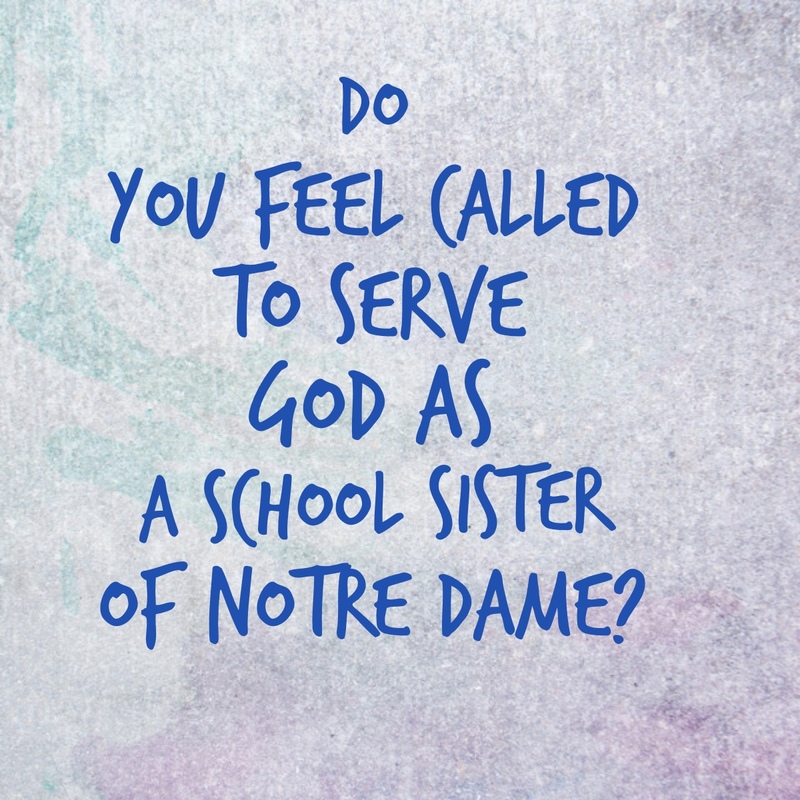 During the first session, we were called to hold gentle our own vocation story and reflect on how it has been encouraged, strengthened or tested throughout the years as School Sisters of Notre Dame. The sessions were crowned with moments of fun and exchange of gifts. Vocation Promotion Ministry welcomes and invites all to be involved and to continue to open our doors to those who feel called. Categories: Uncategorized | Tags: african sisters, Cape Coast, Formation, Ghana, School Sisters of Notre Dame, SSND, Vocation, Women religious | Permalink. 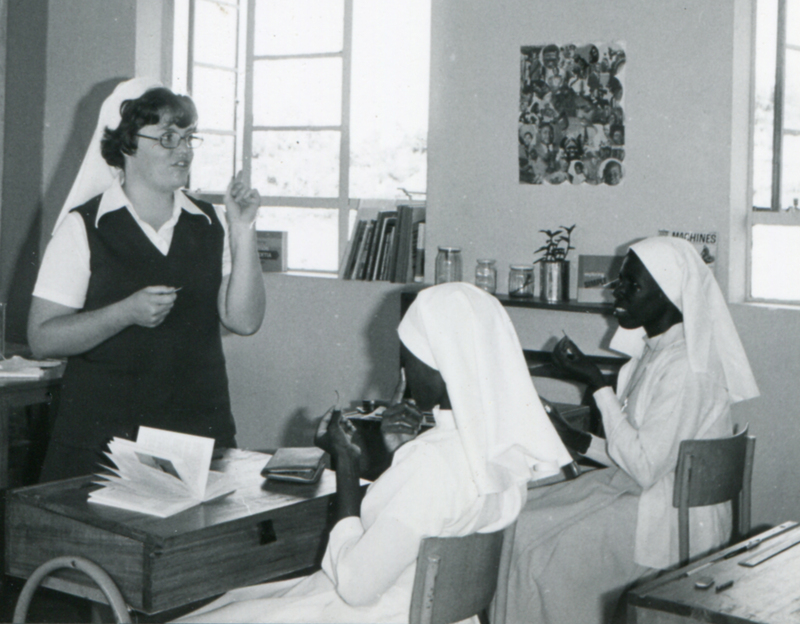 Yesterday I posted about the early years of School Sisters of Notre Dame in Kenya. I posted that Sister Mary Martin, one of the original missionaries, was deceased. Like Mark Twain said, “The reports of my death have been exaggerated! Sister Mary Martin is very much alive and retired in Chicago! We are grateful for her years of service to Africa!! 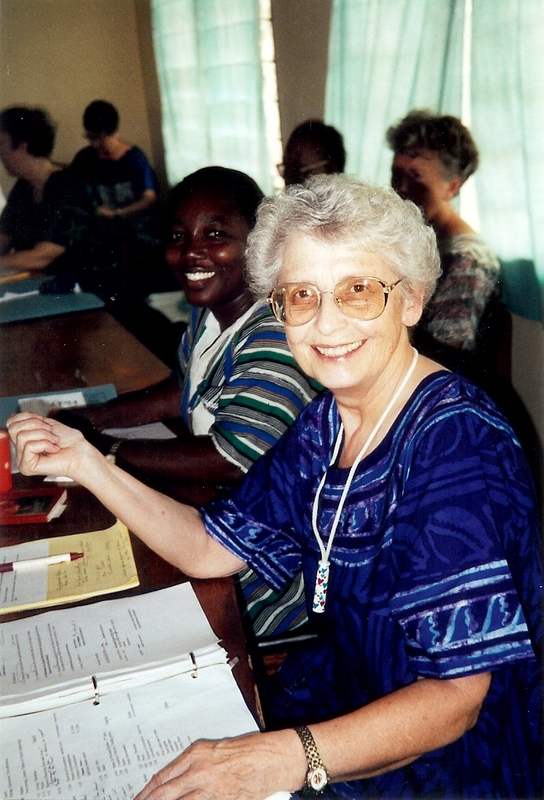 Sisters Maris Simon and Mara Frundt were in the first group of School Sisters of Notre Dame to minister in Kenya. They share some of their remembrances from that experience. My personal remembrances of the early days in Kenya are still very fresh in my mind and I think the overwhelming one was gratitude to God for all that was happening around and inside of me. I can remember waking up in the morning and wondering if it was really true that I was in Africa. 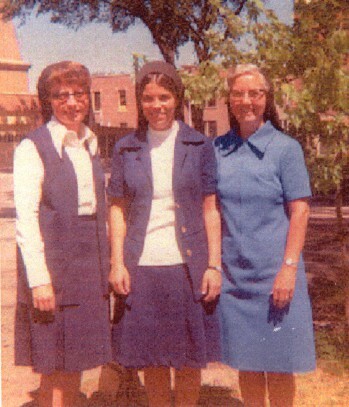 I think the transition was made much easier for us because of our close relationship with the Franciscan Sisters of St. Joseph. Over the years we had educated ten of their Sisters at Good Counsel and other colleges near by. Our original call to Kenya was to staff an Upgrading School for 40 of their Sisters who had been released from their ministries. These Sisters were so understanding of our needs and lack of experience in the African culture. We continue to see each other and relate with them even after 40 years. The changes that happened to me because of my experiences in Kenya will always be some of my most profound. 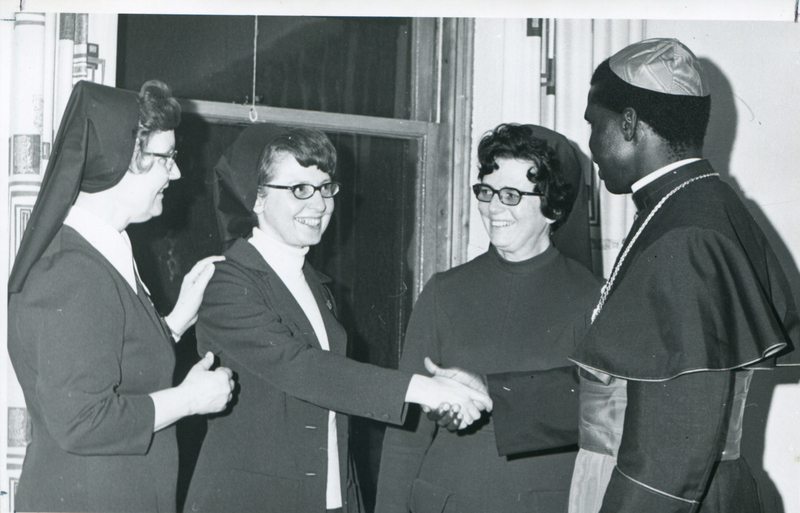 Sister Maris is introduced to Bishop Otunga of Nairobi. Sister Maris is a part of the Postulant Formation Community today. 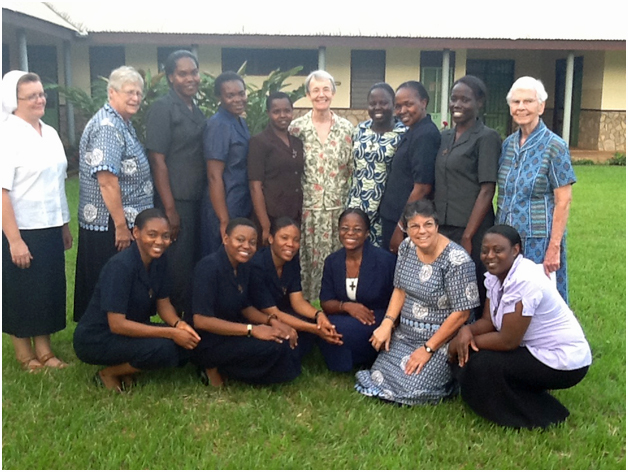 Sister Mara, kneeling second from right, is currently one of the Novice Directors. I can only say I am one very grateful SSND for being called to mission in Africa when I was young and having been able to serve here 30 of the past 40 years in Kenya and now Ghana. It has been blessing upon blessing and I thank God and SSND for the call and my family for their faithful support. 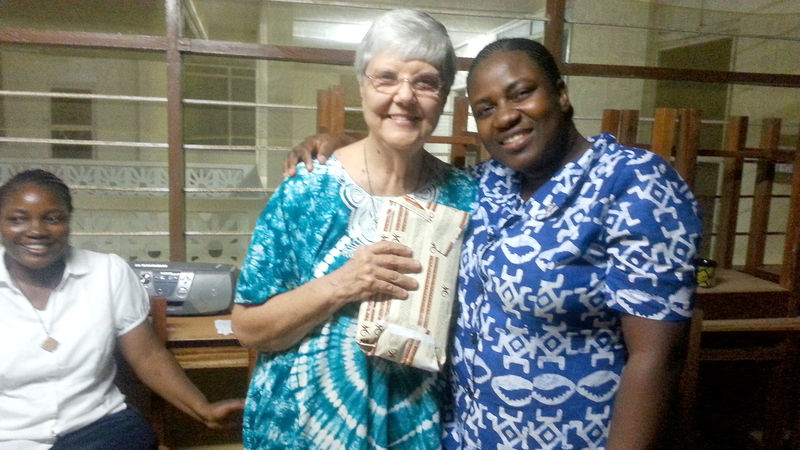 Sister Mary Martin, one of the original group, is now retired in Chicago. 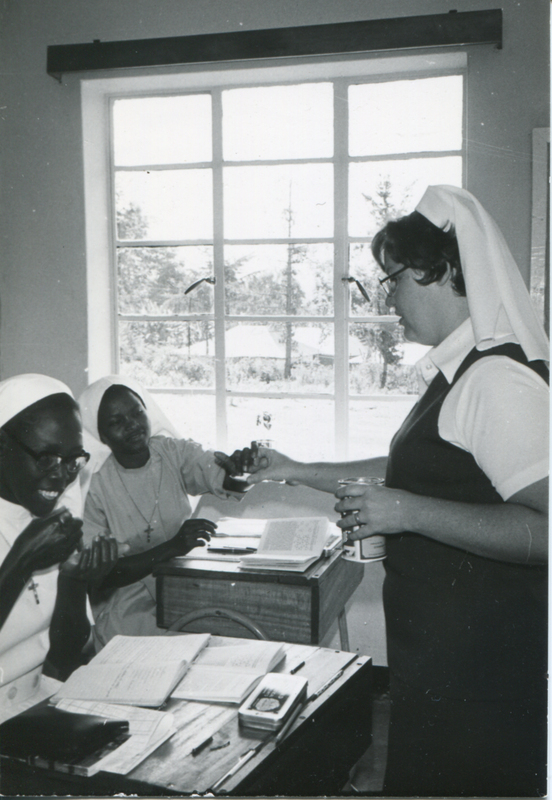 Later that fall, three more sisters joined the first group in Kenya. Here are a few more pictures from those “early days”. Sister Kathryn Berger and little friend. Sister Dianne Perry teaches Franciscan Sisters of St. Joseph. 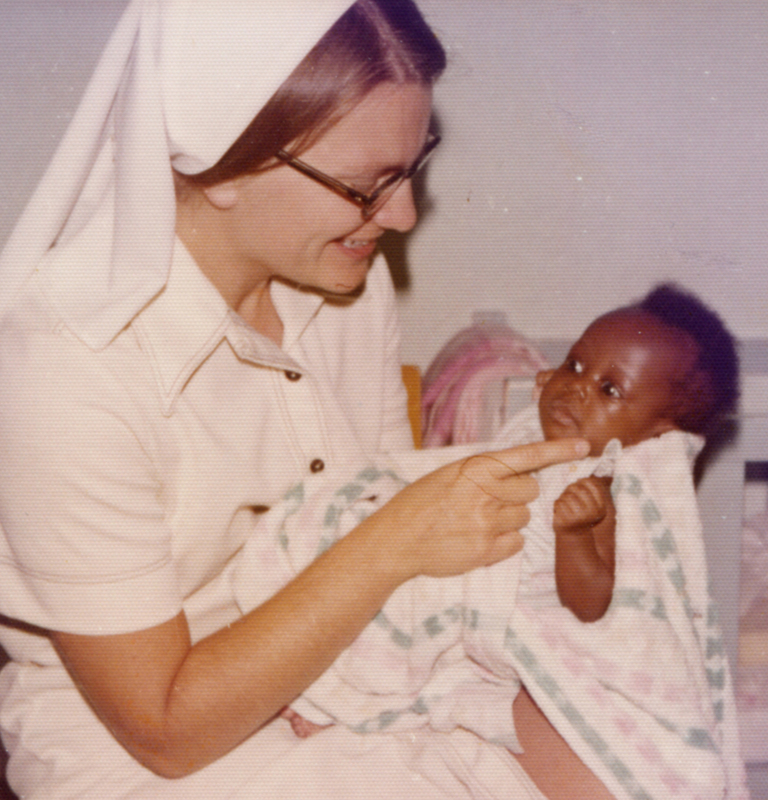 Categories: Uncategorized | Tags: 40th anniversary, Africa, african sisters, Kenya, School Sisters of Notre Dame, Sister Dianne Perry, Sister Kathryn Berger, Sister Mara Frundt, Sister Maris Simon, SSND, Women religious | Permalink.